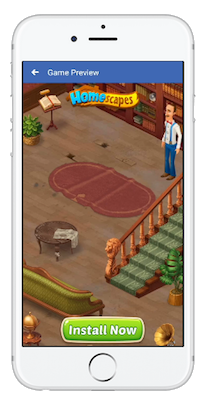 2DKit Facebook Playable Ads load instantly without sacrificing premium features or quality. They can be created in minutes using our professional-grade HTML5 game engine and visual tools. 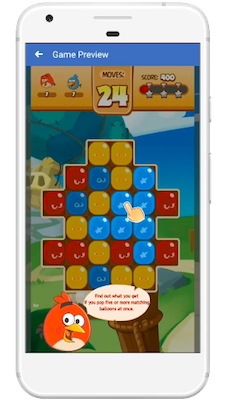 This 2 minute Facebook Playable Ads video shows how to create and publish a premium quality Slingshot Birds playable ad (~300 KB). Faster initial creative development allows more time to be spent focused on creative optimization. Proven industry leader when it comes to smallest file sizes for playable ads and instant games without sacrificing quality. Don’t lose users while the playable is loading. Automatically building, optimizing, and deploying in one step saves valuable iteration time. 2DKit Playable Ads allow you to go beyond simple games and support the complete spectrum of casual game types. Reach Any Platform. Any Device. Reach your audience wherever they are with 2DKit Playable Ads. 2DKit’s rich feature set allows you to focus on making compelling creative rather than working around limitations. Rich HTML5 games run at 60 FPS and load quickly even on low-end mobile devices. Runtime engine file size of ~50 KB keeps initial load quick. Advanced rendering and interactive features increase user engagement with native-like quality. Customizable visual tools streamline team workflow shaving weeks off production process. Mature mobile-first runtime has been delivering optimal performance in mobile browsers and WebViews for leading brands for several years. Publish advanced Adobe Animate and Flash animations directly into your project. High-performance Box2D physics perform well even on low-end devices. Easily add realistic lighting effects and a sense of depth with normal maps. Alpha masks, vector shape masks, PNG masks, JPEG masks, Flash animation mask layers and more. Visually build scenes, levels, tilemaps, UI, and scripts. TTF, OTF, WOFF, System and Bitmap Fonts make text looks great while loading quickly whether text is static or dynamic. Dynamically load and play music and sounds via WebAudio with legacy Audio fallback. Interactive video is fully integrated into the application allowing complete control over visual effects like masking, tinting, and advanced bitmap data manipulation effects. High-performance particle systems perform well in both WebGL and Canvas. Ensure that images look crisp on all devices. Optimized asset handling loads image’s optimal resolution for device. Built-in Photoshop-style filters dynamically apply effects like Blur, Displacement Map, and Emboss to images and animations. Draw your own shapes and lines to create all kinds of new applications from Pictionary-style games and drawing/coloring apps to programmatically creating your own user interface widgets. Apply advanced effects during video playback like chroma key (green screen), masks, tinting, sepia, noise, and filters. Makes it easy to zoom, pan, and follow. You can also use the Camera to auto-follow a Sprite like the Hero or main character. The Camera has built-in support for easily setting up parallax layers and static layers (HUD). Built-in effects enable easily add high-quality scene transition effects like iris, 3D cube, mosaic, wipe, swirl, fade, and ripple. Easily setup parallax scrolling with 2DKit’s parallax layer properties to add a sense of depth to your game. Add polygons to your images to give your 2D animations a 3D feel. Leverage built-in or custom shaders for powerful visual effects like realistic fire, water, clouds, 3D tunnels, voronai, metaballs, and voxels. Drag and drop to easily import Spine skeletal animations with features like IK,meshes, and paths. Easily create UI scenes and HUDs by dragging and dropping buttons, images, text, leaderboards, and custom objects. Prefab-like 2DKit Symbols allow individual objects or groups of objects to be reused in multiple Scenes, improving load times and maintainability. Automatically create 2DKit VS Code projects that leverage Visual Studio Code’s powerful code editing features like code completion, go to definition, project building, advanced debugging and more. Automatically scales content to available screen dimensions in portrait or landscape while maintaining aspect ratio. Streamlined onboarding process makes it easy to get setup and learn. They can be created in minutes using our professional-grade HTML5 game engine and tools. This 2 minute Facebook Playable Ads video shows how to create and publish a premium quality Slingshot Birds playable ad (~400 KB). 2DKit powers hundreds of premium quality HTML5 games and ads. Games and ads created with 2DKit have won numerous awards. This tutorial will show you how to use interstitial and rewarded video ads to monetize your Facebook Instant Games with 2DKit. This tutorial will show you how to add social features like sharing to your Facebook Instant Games with 2DKit. 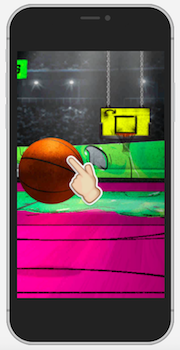 With Instant Games there are many ways to enable social interaction between your players. Below you can find detailed information about each one of these features. 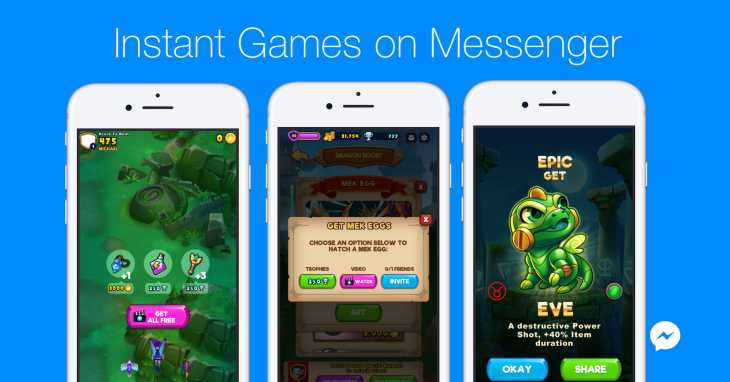 Facebook’s Instant Games platform is a great opportunity to monetize and distribute your games to over 1 billion users using the tools and experience you already have as game developers. 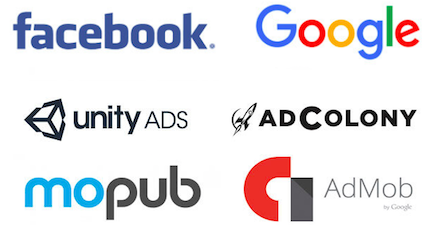 The goals of Facebook’s new platform align perfectly with what 2DKit was created to do–enable the creation premium quality cross-platform gaming content that can reach and monetize the largest audience possible. 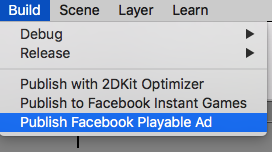 You can get an existing 2DKit game running on the Facebook Instant Games platform in a few minutes with the following 4 steps. 1) Add the Facebook app_id and upload_token to your 2DKit.yaml. 3) Run the command 2dk run fbinstant to preview your game locally. 4) Run the command 2dk publish fbinstant to upload your game and then push it to production in the dashboard. Check out the quick start guide for everything you need to get started with using 2DKit to make and publish Facebook Instant Games. This tutorial will show you how to use the Camera System to handle pan, zoom, follow, and parallax using 2DKit, a powerful HTML5 game engine, . This tutorial will show you how to create a trippy render textures effect with 2DKit, a powerful HTML5 game engine. This tutorial will show you how to create an alpha mask reveal effect with 2DKit, a powerful HTML5 game engine. This tutorial will show you how to handle simple AABB collision detection in 2DKit, a powerful HTML5 game engine. This tutorial will show you how to work with depth sorting (z-index sorting) in 2DKit, a powerful HTML5 game engine.